The Detroit Beautification Project assembled artist’s from around the globe. With the the common goal to bring vibrancy back to one of America’s greatest cities. Presented By: Montana Cans, The Seventh Letter, 1xRun. The Canary Islands have always been a special place for the North Kiteboarding Team. Easily accessible, with perfect conditions either for wave or for flat water and steady winds. A dedicated place to kite, with open minded people who became friends over the years! Watch Cesar, Mario, Reno and Tom ripping their second home spot! X Games invades Los Angeles starting June 28 - July 1. Can't make it? No worries, you can catch all of the action on ESPN, ESPN2, ESPN3D, ABC, or via WatchESPN.com/the WatchESPN app. his new video, featuring Nike Skateboarding pro Omar Salazar skating and living unfiltered as he does on the daily, was made in honor of a special collaboration between Nike Skateboarding and Levi's. Enjoy the roll, and head over to http://www.nikeskateboarding.com to find out more about thelimited-edition Omar Salazar LR footwear collab model, as well as the Nike Skateboarding X Levi's 511 Skateboarding jeans and jacket. Superior fit, unparalleled performance. Lookout below! Check the view Under Our Feet and name the tricks each week to win! Check out our Revelstoke, B.C. teaser as we raise the bar again combining 2 RED epic cameras and a helicopter with a gyro stabilized camera system. Featuring Brett Turcotte, Ray Cormier, Cody Robinson, and many more! Get to know 12-year old skateboard phenom Tom Schaar, the first and only skateboarder to ever land a 1080, during the week leading up to achieving his dream of competing in the Summer X Games. In this episode, we meet Tom's family at his home in Malibu, California, check out his backyard ramp, find out why he decided to try the 1080, and see the excitement of Tom landing the first 1080 in competition at Asian X Games. Episode 1 of 5. "BMX film-maker, Rich Forne is well know for his skewed and alternative style of video direction but this time we get a glimpse of Rich from the other side of the lens. Hold on to your seats for this one..."
Watch as Jus Fly skies high in the revolutionary Nike Hyperdunk+ available on 6.29. Your shoes provide instant feedback to your iPhone about your vert, quickness and hustle. Measures your game. Raises the game. Method Skateboards San Francisco Longboard session. 5 spots in one afternoon....its our Method. Ripping up the streets of San Francisco on a perfect day. El Mac and Retna are street artists, born in LA. 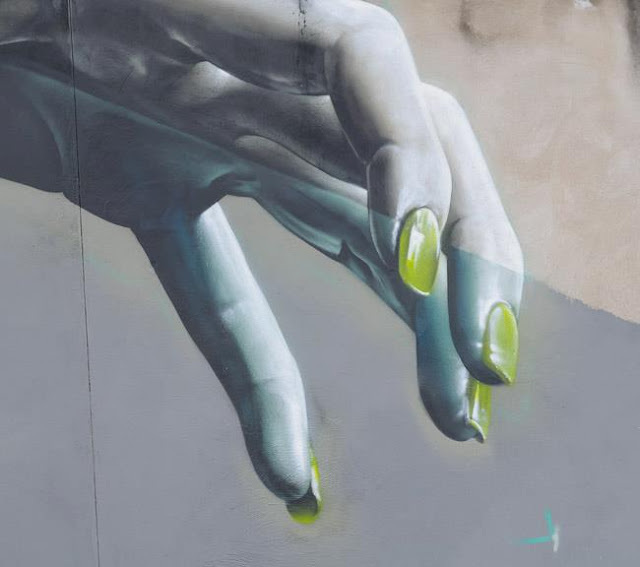 They use building walls as blank canvases for their imagery, and the duo has collaborated to create murals all over the world. 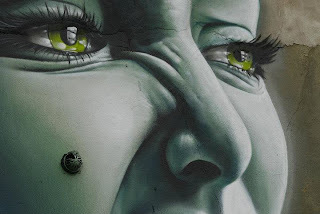 El Mac and Renta have very different styles, and have been collaborating the last few years. 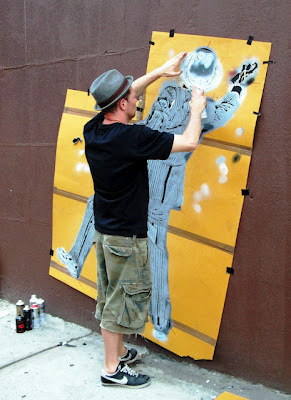 They combine their artistic forces in a specific way: El Mac creates huge lifelike portraits and Retna, calligraphic brushwork and decoration. The result is striking imagery that is unique and recognizable as theirs. It's not uncommon for street art fans and documentarians to gather to watch the progression of an El Mac and Retna work in progress. Happy Go Skateboarding Day from the Waiting for Lightning team! We wanted to celebrate Go Skateboarding Day 2012 with a clip featuring a few of the interviewees from the Danny Way Feature Film Documentary Waiting for Lightning. 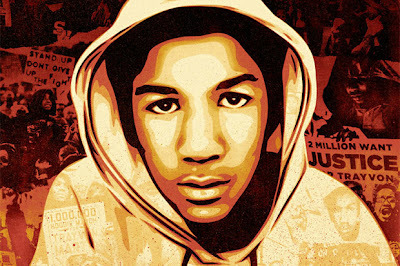 Waiting for Lightning will be released in Theaters in the Fall of 2012. HIGHESTE EVER WINGSUIT JUMP - FROM 37,265ft! This breath-taking footage shows the moment a flying DAREDEVIL smashes four world records in one death defying 37,265ft high WINGSUIT jump. Jhonathan Florez, 29, broke a staggering four records in just one jump when he leaped out of a plane above Guajira, in Colombia, on April 20. Astonishingly, as he reached speeds of up to 100mph he smashed the record for the longest duration wingsuit jump - a whopping 9 min and 6 sec. Jhonathan had to battle through temperatures as low as -45 as he picked up the record for greatest horizontal distance flown in a wing suit - a mammoth 16.315 miles. This Wallpaper created in Adobe Photoshop CS 6 by Alexander Koshelkov. Watch Foot Locker's team of Stripers show off their sneaker skills! Introducing Globe's ELECTRIC BLUE HEAVEN, a short, conceptual film featuring Dion Agius in the WORLD'S BEST WAVE POOL! Melbourne, Australia campaign shoot in March 2012 with Mark Gonzales, Dennis Busenitz, Silas Baxter-Neal, Pete Eldridge, Benny Fairfax, Nestor Judkins, Lem Villemin, Jake Donnelly, Vince del Valle, Chewy Cannon, and the Australia Team. Check out the amazing footage of downhill mountain biker Brook MacDonald, as he scales down a new trail on Mt Burke. The trail is located in the Wanaka Lake District of southern New Zealand, one of the most visually appealing landscapes in the world. Introducing the most thrilling new aerial water vehicle; the Jetovator! Turn your standard high output personal watercraft into a power source for your Jetovator and get ready to reach heights up to 30 feet, speeds up to 25mph, dives down to 10 feet, and insane aerial tricks like 360 degree barrel rolls, and back flips. To get more info on the Jetovator visit www.jetovator.com. Shot 100% on the HD HERO® camera from http://GoPro.com. Skiiers Matthias Giraud and Stefan Laude try to outrun a massive avalanche in the French Alps. The only problem? Their escape route. Bowl riding with the SurfSkate Premiere and Stunner. Check them out at www.surfskate.com! RIME OF THE SEVENTH LETTER. THE HUNDREDS X THE SEVENTH LETTER...COMING SOON....! Fitness star and model Rosa Acosta will make her debut as the face of 9Five Eyewear in its Summer 2012 Campaign. Expanding her reach from men's magazine covers and rapper videos, the Dominican Republican native adds the popular urban-meets skateboard-world eyewear company to her list of lifestyle features. Footage from our recent shoot in Lake Powell. We were hired out to shoot content for a commercial that will be shown across Latin America. I wanted to share a 2 minute cut with everyone in hopes that it motivates you to do something you've never done before. Big thanks to Rodgerio and his crew for seeking us out. 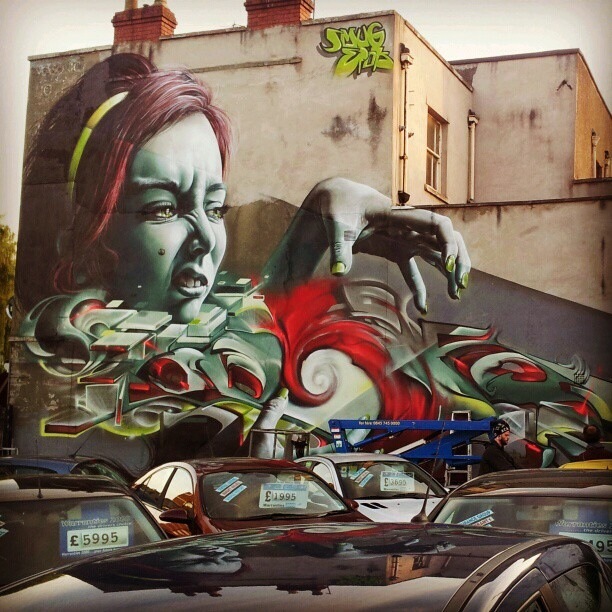 Glasgow-based muralist Smug and Epok recently collaborated on a monumental new mural on the streets of Bristol for Upfest 2012. Painted in about 3 days, this is another next level piece brought by Smug and his striking photorealistic portraits combined with Epok's stylized graffiti, just perfect. Very cool follow up to Riders Are Awesome with riders landing even more extreme stunts. James Doerfling, Cam Zink, Brandon Dosch, Bobby Brown, Lil B, Andy Lewis, Thomas Pages and Travis Pastrana. 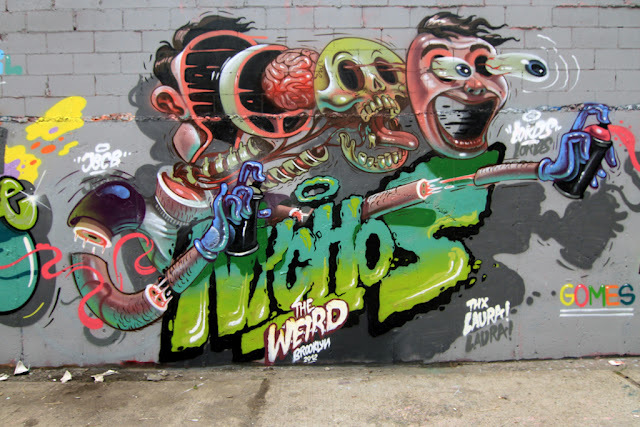 Yesterday, Austrian artist Nychos spent the day in Bushwick, an area in the northern part of Brooklyn, New York City. 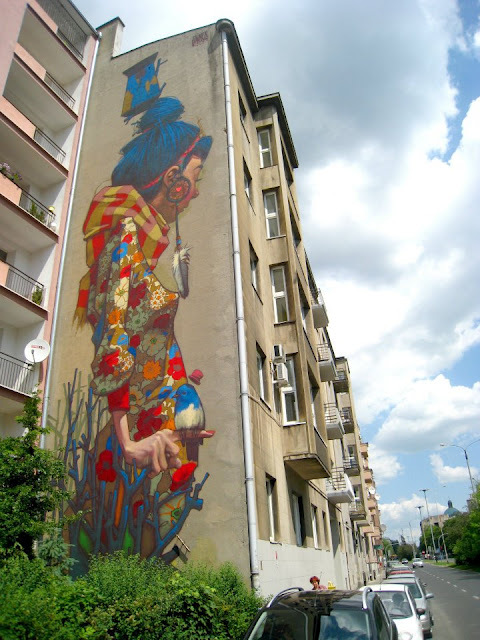 Along with other local and international artists like Dabs Myla, they transformed the urban landscape of some of the neighborhood’s key areas. 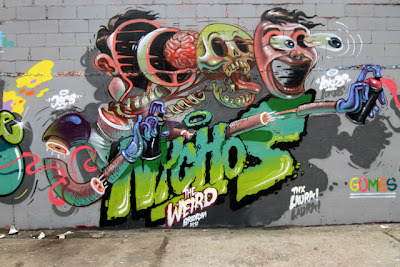 As usual Nychos The Weird delivers a superb new piece featuring his distinct dissection style. It was only a matter of time – after Skate Moss and the Tumblr that features top model Kate Moss on skate decks, and this week we can present Skate Upton, featuring top model Kate Upton. We appreciate that Skate Upton is actually also doing interactive skate decks, including such beautiful video moments, such as Kate Upton dancing the Cat Daddy for Terry Richardson. What would you do with 50 GoPros at the touch of a button? World- renowned skateboarder, Ryan Sheckler, shares his idea: an epic run from the top of the Manhattan Bridge to the storied Lower East Side skate park in New York City. Music Frankie Numi "On & On"
Relentless Energy Drink sponsored skater Ben Nordberg doing what he does best - effortless, jawdropping skateboarding for Flip Skateboards. 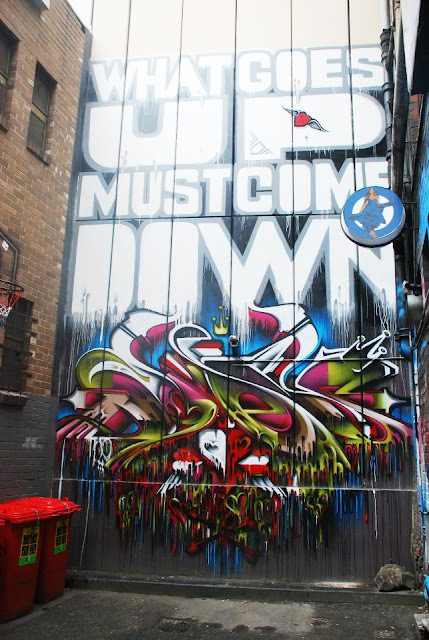 Constantly moving around European cities and spraying his vibrant, highly detailed stencils, C215, has had a busy 2012 already. The Paris-based stencil artist just completed this energetic, color-bursting portrait on the streets of Sete, Southern France. 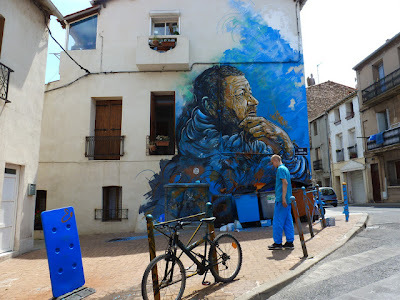 If you are in the area, this one can be seen Rue Des Deputes. 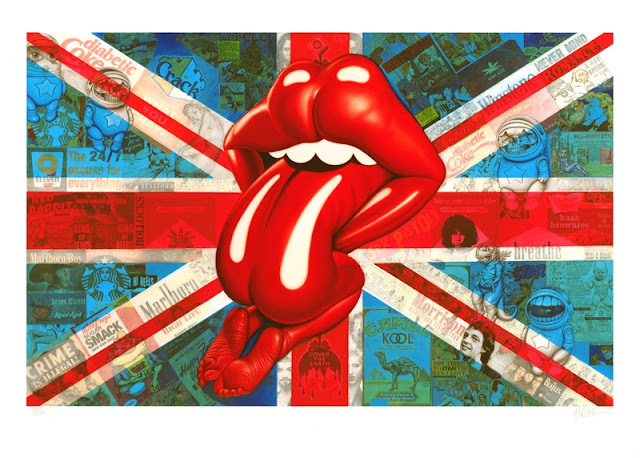 Later today, In recognition of the Queen’s Diamond Jubilee, Ron English will be releasing his new print "Status Faction". This is an edition of 50, measures 50 x 70cm, Giclée print with silkscreen gloss on Somerset Enhanced Satin 330gsm paper, signed and numbered by the artist. 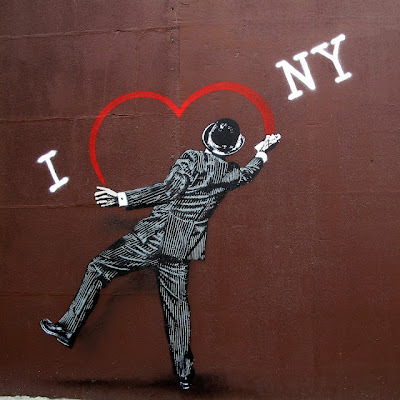 Bristol-based Nick Walker just completed a new mural on the Lower East Side, a neighborhood in the southeastern part of the New York City, borough of Manhattan. 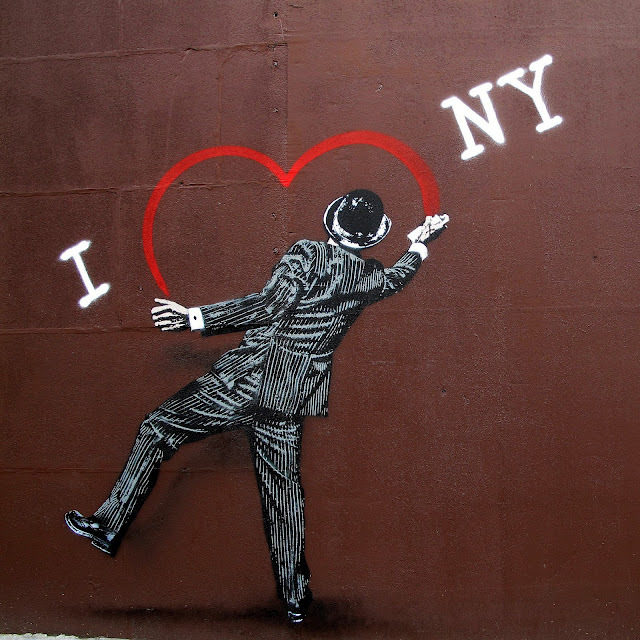 The "Heart Vandal" that first appeared on the streets of Paris last april, is now showing its love to the Big Apple. Innovative, courageous, original: Kilian Martin sets new standards in the world of skating. Uncommon skateboarding tricks in super slow motion. Filmed at 1,000 frames per second with a Redlake N3 high speed camera. Since skateboarding trick names are defined by common usage and these tricks are not very common, some of them don't have well-established names. Would you be able to find them? Introducing new CLEAR color-ways for the BANTAM, as well as the latest addition to GLOBE'S cruiser board line up – THE BLAZERS. These may look like the boards of yesteryear, but they definitely are not. With a 30-day guarantee on all boards and a lifetime guarantee on trucks, GLOBE'S cruiser range is not messing around. The BANTAM is stiffer, the trucks are wider and the components last longer than anything in the market. These little beasts have been tested on the streets, backyard pools and any ramps we come across. GLOBE cruisers are the real deal, so go out to your local skate or surf shop and pick one up. Moments 2 delves into the individuality of Quiksilver's global surf team. Go from urban sprawl to island perfection with Jeremy, have fun and sip coconuts with Dane, see what dreams are made of with the 11x World Champ and get lost in the timeless groove of Ando. Though each rider's style is unique, the film captures moments in time of their common bond...surfing. filmed in Indonesia, Tahiti, Fiji, Australia, Costa Rica, Mexico and Reunion Island with appearances from the new crop of Young Guns. Maybe the best video of the year. Period. This is the last gift for GO PRO to advertise their new camera: wingsuit base jumper and Italian phenom Roberta Mancino and pro surfer & world renowned free diver Mark Healey share an underwater dream. STAPLES Center, home of the Lakers (NBA), Clippers (NBA) and Kings (NHL), conversion video time-lapse taken during the arena's 6 Playoff Games in 4 Days, May 17th - May 20th, 2012. Impressive! 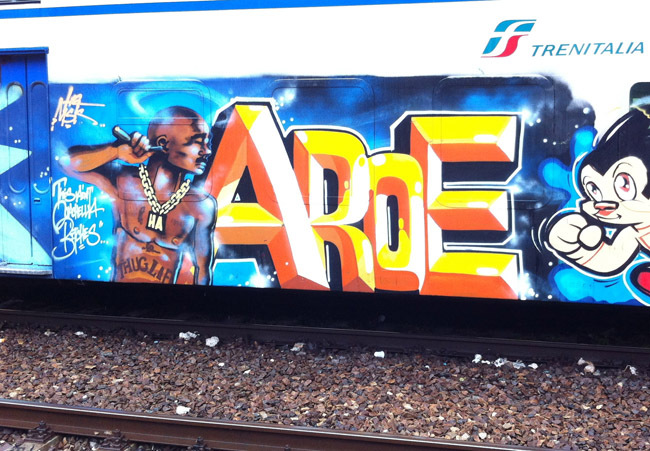 Street art by Aroe in Brighton, United Kingdom. The popular Staple pigeon design is now available on headphones. The New York brand has teamed up with Beats by Dre on a pair of sick headphones. 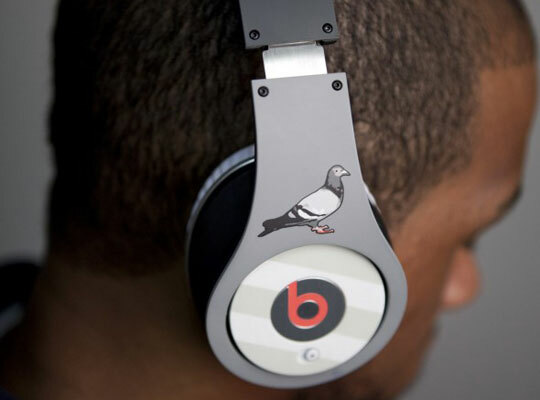 They of course come in grey and feature the Staple pigeon graphic, along with the pigeon poop graphic sitting at the top of the headphones. 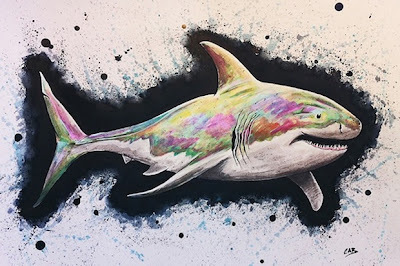 Over the last 15 years, the graffiti artist from Netherlands "Does" has developed into a multi-disciplinary international artist recognized for his dazzling choice of colours, his clean style and his eye for details. Member of the Ironlak team, Does is an autodidact eager to develop his style and skills. More details on this amazing graffiti artist here. 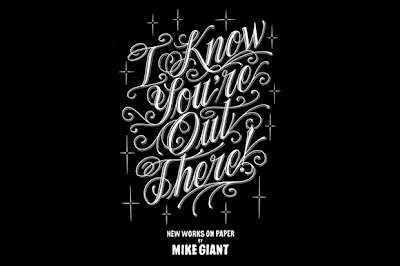 Graffiti and tattoo artist Mike Giant is shopping for a new girlfriend and makes art his very own personal ad. “I Know You’re Out There” is a series inspired by the REBEL8 artist’s search for a mate. Hand-rendered on paper, the collection is now on display at The Pretty Pretty Collective in San Francisco. ROB HARRIS & WILLIAM STROBECK "SCOOTERS"
Legendary skate videographer William Strobeck have returned with his new skate short “Scooters,” a collaborative effort featuring Rob Harris andalso featuring Reese Forbes, David Clark, and Alex Olson, just to name a few. Check out this amazing video showcasing clips of skateboarding, BMX, snowboarding and other extreme sports. 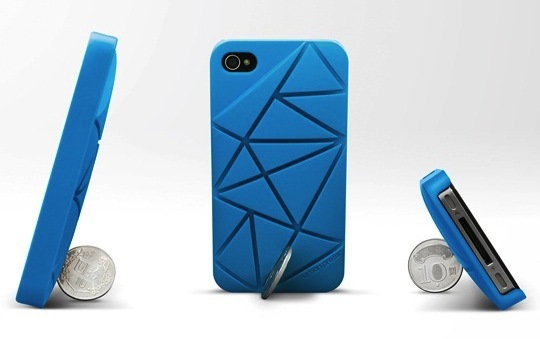 It’s well pieced together and definitely worth checking out! Visit to the corner of 6th Avenue and West 43rd St NYC. Experience lightweight and flexbility. Rockport has partnered with renowned performance artist Johan Lorbeer who illustrates how lightweight the truWALKzero shoes are. See you there from 8 AM - 10 AM and 5 PM - 7PM. I’m truly honored to have the chance to share a lot of these more dense collage works with my LA peoples, especially since my last 2 large shows were out of town. 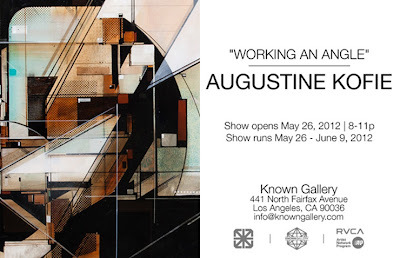 30+ works as usual including dense collage and assemblage on wood with yardstick framing, paintings on canvas and hand painted multiples will be on display for 2 weeks. The French motion and graphic designer Grégory Villien compiled this amazing compilation which shows the beauty of sports in stunning slow motion images. Enjoy! Here is the full second set of decks by Santa Cruz and The Simpsons. The first set left shelves in no time and this will probably not be much different. Consisting of overall 4 decks, the characters featured include Homer, Bart and Krusty. Enjoy.